(StatePoint) When it comes to professional success, the way you present yourself in the workplace should complement the quality of your work. Whether you’re looking to advance your career or simply make a great impression, a useful New Year’s resolution is to refine your office look and style — take everything into account, your wardrobe, your accessories and your workspace. You may not have the top job yet, but the old adage holds true — dress for the job you want, not the one you have. If budget is an issue, don’t sweat it. Online coupons can help you score great deals at mass market retailers. Additionally, discount department stores often sell designer labels at a fraction of the cost. Be sure to press your clothes even if your office is business casual. Invest in an iron and give yourself a few extra minutes in the morning to ensure clothes are wrinkle-free. Every season, go through your closet and set aside clothes that no longer fit, are worn out, faded or out of style. Donate these clothes and make room for new ones. Rocking the basics can make a great impression at meetings, conventions and other professional events. 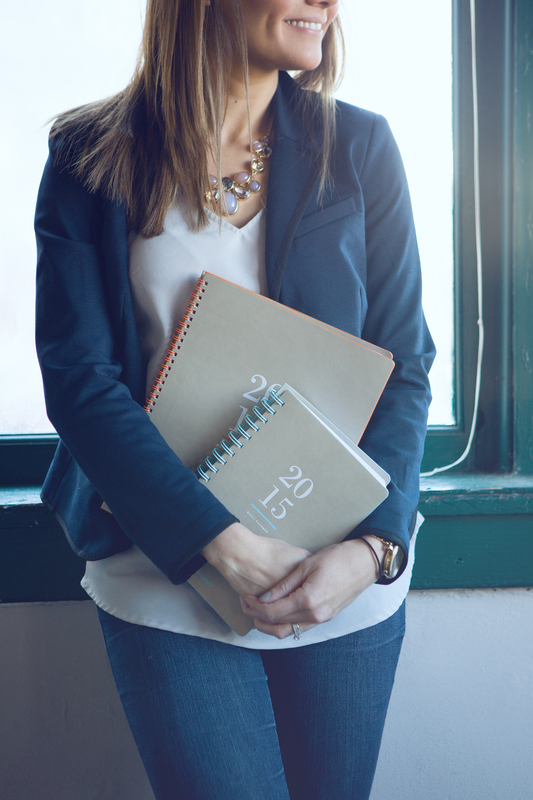 Show employers, colleagues and clients organization is important to you by carrying a planner and business notebook. Look for a sleek design, such as those from the AT-A-GLANCE Collection. These products not only keep you organized and track your story, but can act as a highly useful accessory to your professional style. Whether you’re looking to stay organized by the day, week or month, a planner won’t just help to improve your image; it can also help remind you of upcoming deadlines so you stay organized. Take ownership of your workspace. Your desk, cubicle or office is visible round-the-clock, even when you are off-the-clock, so make sure it makes a great impression. A few personal items are welcome in most workplaces. Just be sure any personal photos of friends and family that you display are tasteful and appropriate. Lastly, display a stylish wall calendar on your cubicle or office wall to keep important dates in view. Or if you prefer, a desk pad calendar gives you the same view of your busy month ahead. You want colleagues to know that not only do you have a full plate, you know what’s on it. By fine-tuning your look, you can help make 2015 the year you reach your professional goals and look great doing it.